The KG-UV920R is Wouxon's first dual band rig, operating both 2 meters and 70 cm (440 MHz). Power output is selectable in 3 steps (2m: 5/25/50W, 70cm: 5/20/40W) and modulation can be switched between narrow-FM and regular-FM. The receiver covers the entire HF band, 65-220 MHz and 400-520 MHz and supports AM. A detachable front panel and DTMF-mic come standard. Also sold as the Luthor TLM-007. I have owned the KG-UV920R for about three months now, so far I'm pretty happy with it. It has X band repeat, CTCSS, DTMF, basically everything you'd expect from a dual bander except for a data port (no echolink interface). The VK model does not have an expanded RX range for scanning or AM RX, it only includes FM broadcast radio (why?). -Power output is spot on for HI, MID, and LOW on both bands, and doesn't vary after heavy use. -Fan is quiet as a mouse and still performs well. -Audio on TX and RX is fantastic. -Comes with a remote head kit (and if you've got a RJ45 crimping tool you can make custom length cables for it). -Faceplate can be mounted flat or angled up. -Reasonable price (In AUS all radio's are about 30% more expensive than anywhere else on earth!). -Fully controllable from the DTMF mic. -PC software is relatively easy to use. -Front VFO/Channel selector knob changes channel even if you don't turn it. Just a touch on the dial and it'll randomly go up or down. I use the mic for this now. -Suffers badly from front end overload, at least at my QTH. (In Sydney there are 7 narrowband broadcasting stations on 151-2 MHz within 2 miles of me). This is not a problem on UHF though. Otherwise the intermod rejection is pretty good. -Programming a channel on the front panel takes quite a while to master. I bought this to be a cheap dual bander which I can bash about in the car. What I received was a cheap dual bander which I can bash about in the car. It does the job, gets good reports, and hasn't had a problem with the hot car or vibration. Power output is stable and bang on, everything works as it should (except the VFO dial). 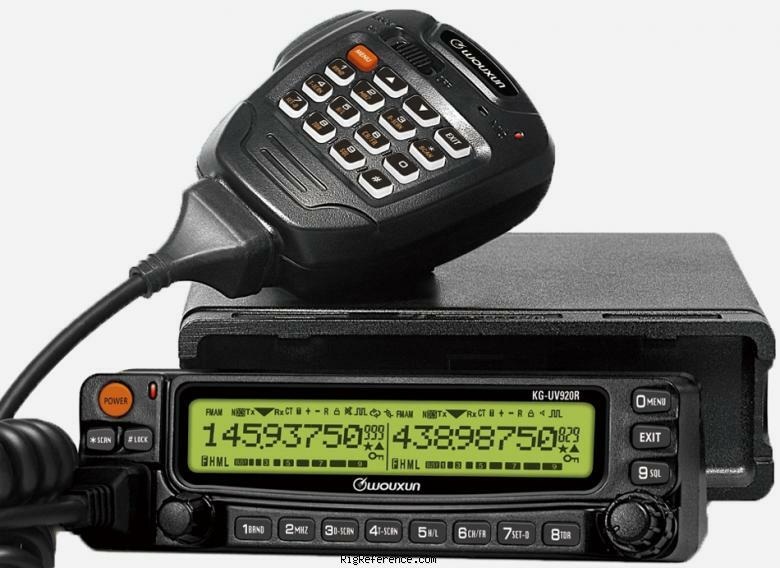 If I had to buy another rig for a second car I'd think about Alinco though. Estimating the value of a rig can be challenging. We collect prices paid by real hams over the years to help you estimate the current value of the Wouxun KG-UV920R. Just bought or sold this model? Let us know what you traded it for and help other ham operators!